Painted Acres Ranch is Owned and Operated by Jason, Maggie, & Eli Powell . Painted Acres Ranch was established in 2003. Maggie has been involved with horses most of her life. She has barrel raced in Michigan and the Midwest. She also assisted with trail camps in Alaska. 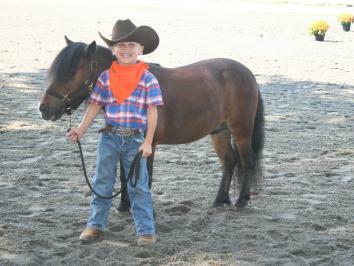 Maggie has participated in several natural horsemanship programs and a ranch horse training program in Oregon. She has achieved national certification for her personal abilities. 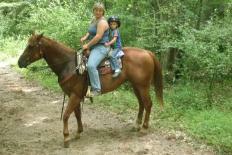 She uses natural horsemanship in all aspects of her horse care. Maggie is a National Registered Paramedic. Jason has only been involved with horses since he met Maggie in 1998. He plays a supportive role in the day-to-day care of the horses. Jason is a career firefighter and paramedic. Eli joined the fun in March of 2006. Eli is a future laborer, manager, etc. 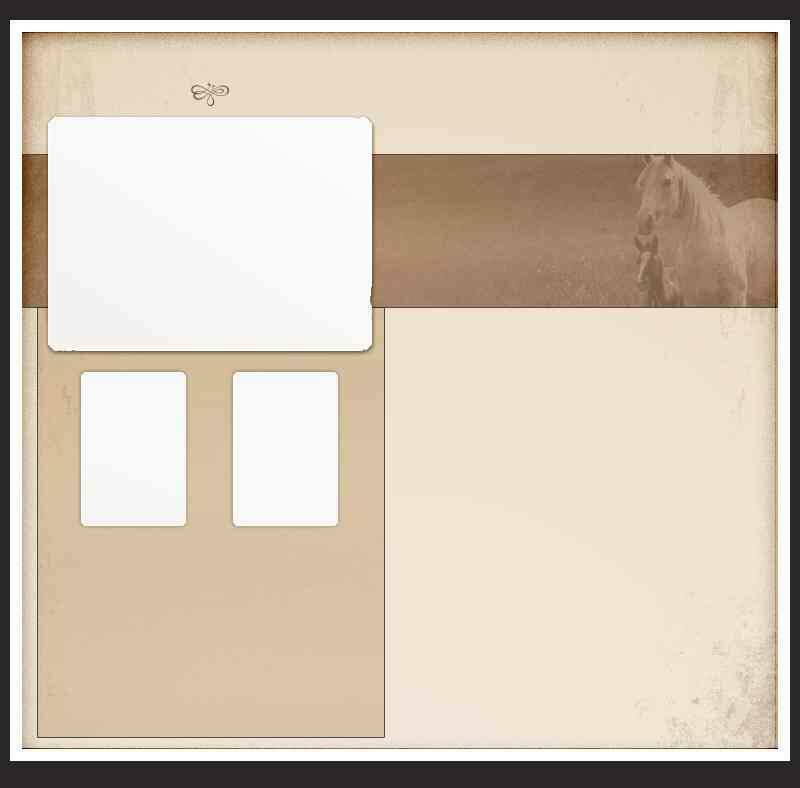 for the Ranch. Jason, Maggie, and Eli provide a family-friendly facility for boarding and riding. 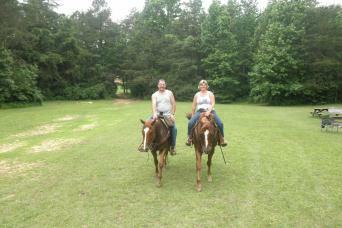 Maggie's training philosophy is to provide children and adults an education in basic horsemanship. This is accomplished by honest assessment and hands-on application. 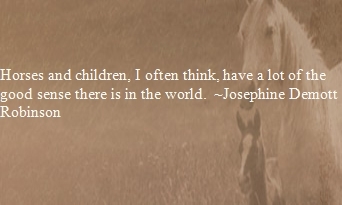 A good understanding of horsemanship will allow both horse and rider to enjoy their experiences. It is more important for the "the team" of horse and rider to understand what they CANNOT DO than is for them to understand what they CAN DO!